Challenge: Create an open office space in KEXP’s new Seattle Center location that brings people closer together, reflects the station’s creative culture, and looks great to the public--all while keeping to a tight budget. 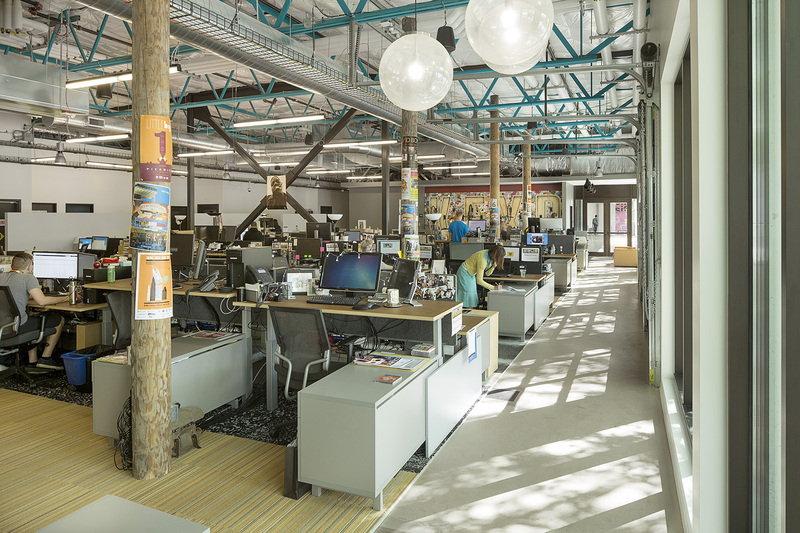 When it came time to move from an old, cramped private office environment into a new open space visible to the public through floor-to-ceiling windows, thoughtful design was needed to create a collaborative team space that maintained KEXP’s personality and presented a unified look to the outside world. 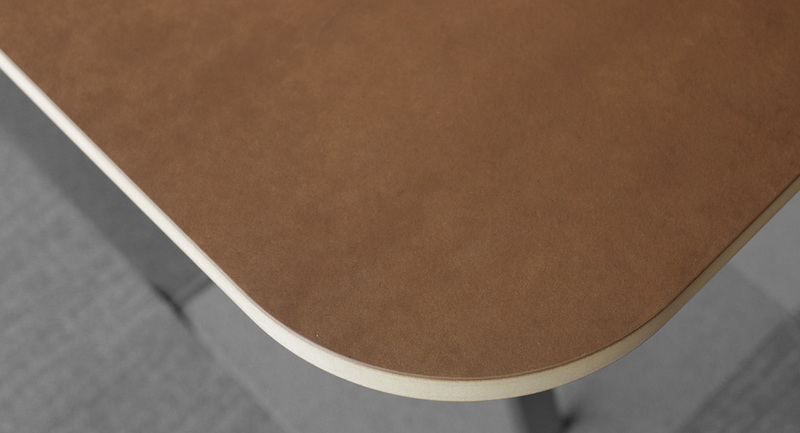 Non-traditional materials – KEXP chose Watson’s Craft Surface for their bench tops. This unique material looks and feels warmer and more natural than traditional laminates,without sacrificing toughness or durability. 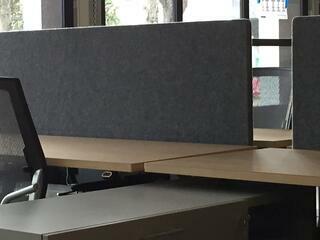 Adjustable benches to fit each person’s work style – Watson’s Seven adjustable-height benches allow each KEXP team member to change how they work throughout the day. Tackable privacy screens – with integral tackable privacy screens at a fixed height, KEXP’s office has a unified look while allowing each team member to make their workspace their own with artwork, photos or other personal items. Part of KEXP’s unique culture is a healthy respect for the environment, so it was important for the station to minimize the carbon footprint of its new office furniture. Watson was a natural choice with its commitment to sourcing regional and sustainable materials where possible, building in-house, and minimizing waste. 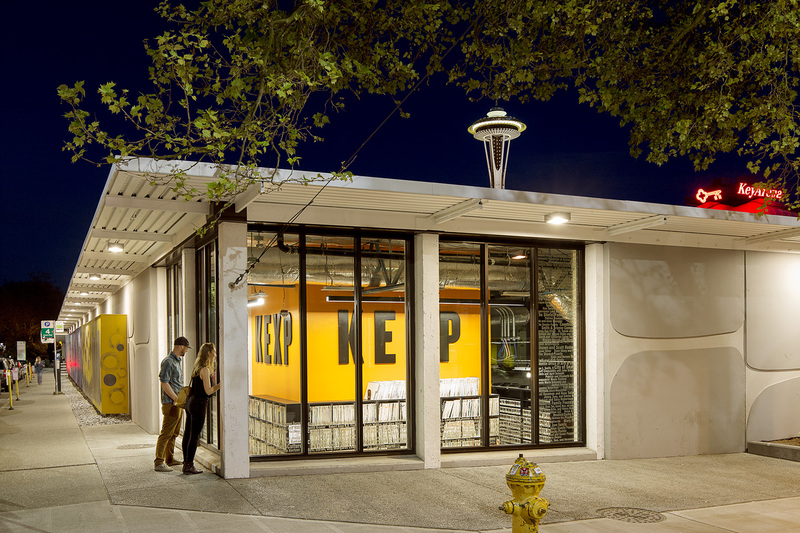 The KEXP team chose to eliminate edge banding, specify furniture sizes that optimized material usage, and select cover privacy screens with a fabric made from recycled plastic. With Watson’s wide range of bench and storage options it was easy for the project team to specify a solution that exactly met KEXP’s functional and aesthetic needs without having to build custom furniture. Quick and easy installation also kept costs in check with each workstation taking 30 minutes to install versus 3 hours with other manufacturers’ comparable solutions. When space is tight, compact, efficient storage is essential to keeping the office looking organized and clutter free. 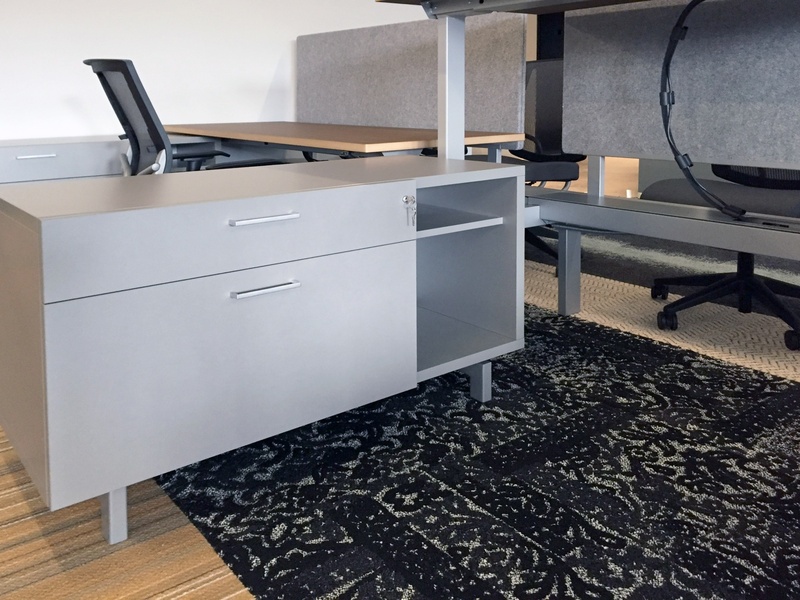 KEXP chose Zo credenzas with a narrow footprint that slid partially under the bench to combine storage with extra desk space. Smart planning combined with hard-working, beautiful furniture created a new open office space that’s helped KEXP improve teamwork, maintain their personality and look great to the outside world--all within tight budgetary goals. Watson’s thoughtful design, robust quality and expert craftsmanship ensures that KEXP will continue to get great value from its new workspace for many years to come.